School is letting out across the country, which leads to. . .summer birthdays and summer pool parties. 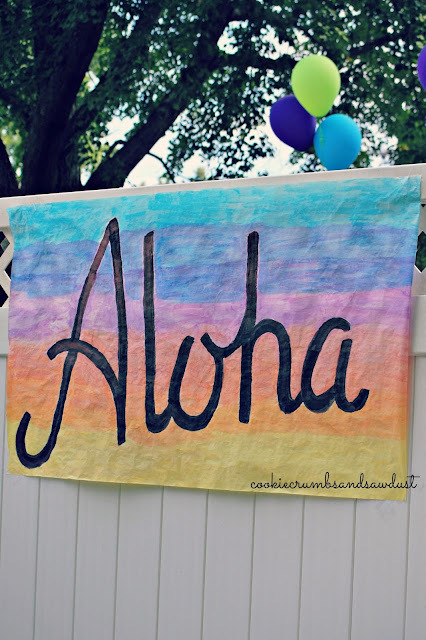 Put 'em together and you can have a fun summer birthday beach pool party anywhere -pool or no pool! 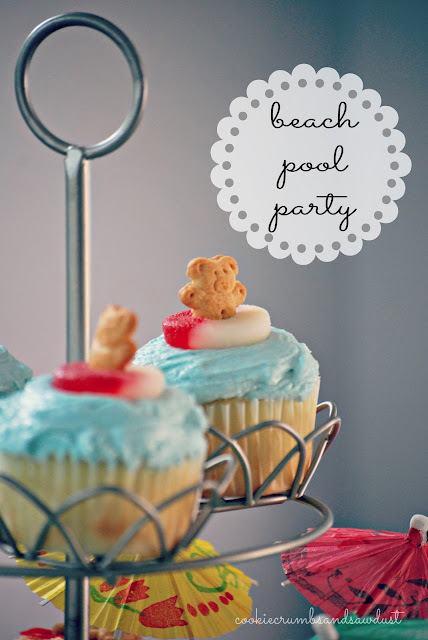 summer birthdays + summer pool parties =summer beach pool parties! My friend hosted the cutest beach themed pool party for her twin little girls last year. She thought of everything. . . Her guests were greeted with this huge Hawaiian style poster that she painted. 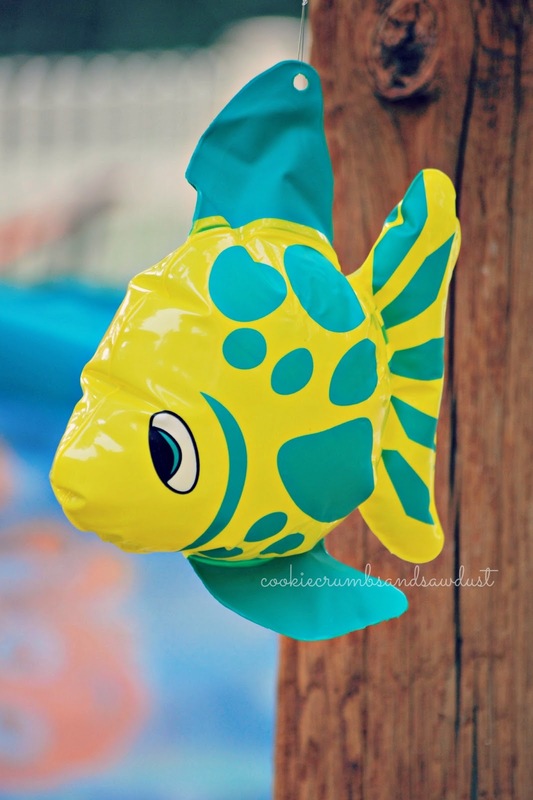 She hung these fun inflatable fish all around the pool area. 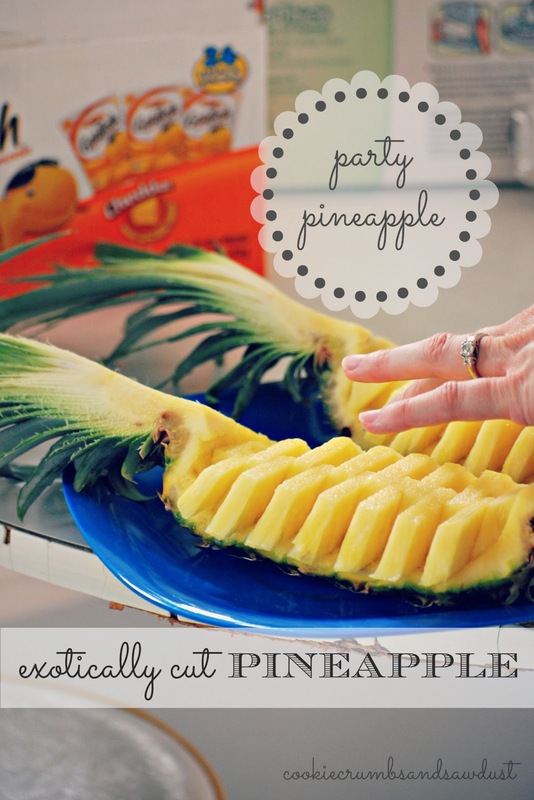 She continued the Hawaiian theme with this beautifully cut and arranged pineapple platter. 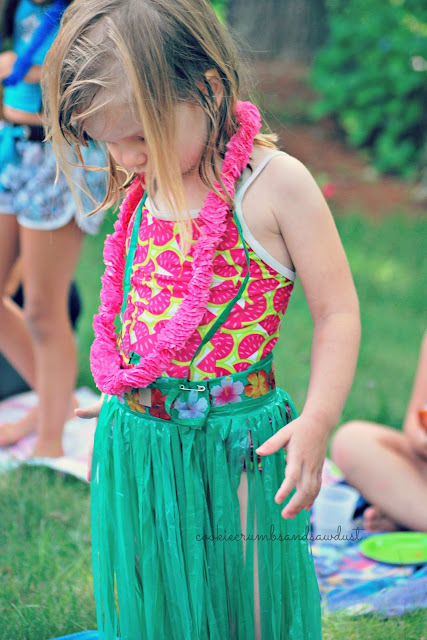 She even provided guests with grass skirts and leis to wear after the swimming and during the cake and ice-cream portion of the party. When it was time for cake, she served these cute cupcakes -little bears sunbathing on the beach under umbrellas, while other little cookie bears were floating in inner tubes in the ocean (pictured above). I think this party could easily be adapted to a beach-themed sprinkler party. What a super cute party! I love how you cut the pineapple! So fun! cute! I LOVE Those cupcakes. Just adorable! This is an awesome idea! 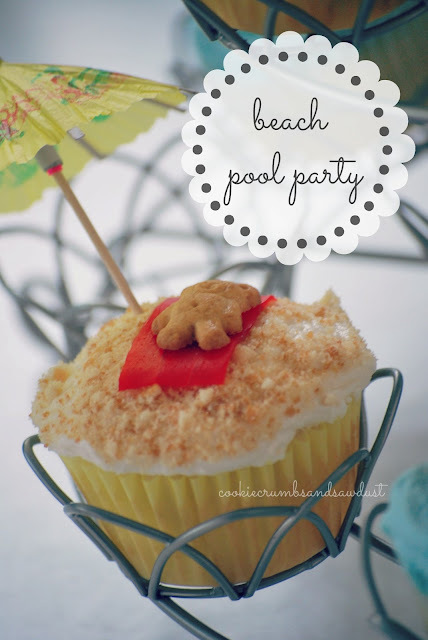 Would love you to share this at our Ladies Only Blog Share link party, which is a summer theme this week. Visiting from the Pity Party! LOVE! Funny thing is that my middle made cupcakes with teddy grahams involved tonight! Thanks for sharing with us at LOBS!